It is so important for children to understand the sacrifices our ancestors gave toward making our country a free and amazing place to live. So, each September we learn about the birth of America and some of the important places that symbolize our freedoms. This year we observed Constitution Day with our family and friends. A biography is a nonfiction text that tells about someone’s life. It is written by someone who has researched the person. We have created short biographies about some important people during the birth of our country. We used Voki to make it a little more interesting. What do you know about our founding fathers? WOW, what a week we had. Since September 17th was Constitution Day, our class decided to go all out and celebrate the week in style! It was a great way to dig into our nonfiction text and practice using text features. We focused on the main idea and supporting details to help us create our projects. Take a look at all of the things we learned, celebrated, and created. You will be amazed! We have learned a great deal about the birth of our country and how important some of our country’s symbols and people are. The Bill of Rights is also very important to all United States citizens. Watch our paper slide to find out why. Here is our project about the Statue of Liberty. It is an important symbol of freedom to our country. Watch our projects to learn more. statue of liberty from GFraher on Vimeo. WOW, what a week we had. Since September 17th was Constitution Day, our class decided to go all out and celebrate the week in style! 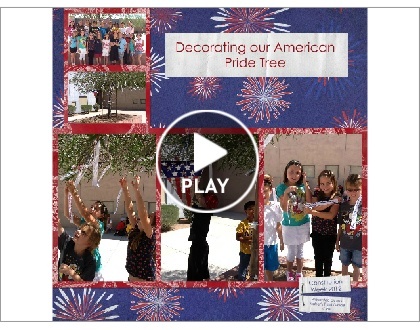 Take a look at all of the things we learned, celebrated, and created. You will be amazed! Brooke and Morgan created two Vokis on the White House. Mastin used one of our class iPads to make a Puppet Pal Play. You will learn about why the Boston Tea Party happened. Boston Tea Party from GFraher on Vimeo. Mastin uses Puppet Pals to tell the story of the Boston Tea Party. Many others made slide shows to teach us about the founding fathers and some American symbols. This summer I had a chance to go to Philadelphia and visit Independence Hall, Liberty Bell Center, and the National Constitution Center. As I was learning about the history of the bell and the events leading up to America’s birth, I felt so much pride and thankfulness for the patriots who fought to guarantee our freedoms. Are you aware of these freedoms that many other countries do not have? It is so important for all to understand and appreciate what we have in America. Constitution Week has passed and we learned so many things about our country. Please comment on what you appreciate most about living in America.